Ijen Crater, Mt Bromo Tour Package 3 Days is one of the volcano trekking that categorized in Mount Bromo Tour 3 Days 2 night. 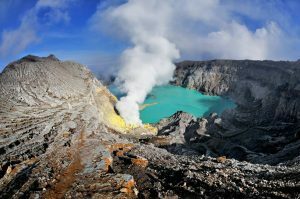 The best way to enjoy Ijen Crater tour, Mount Bromo Sunrise tour is from Banyuwangi or Bali Island, If you start your trip from Surabaya, You must take the arrival time in morning time. Pick you up at Surabaya Airport, Malang, Banyuwangi by AC (air conditioned) tourist Car / Van and take you to your hotel or homestay around Ijen Volcano for 7 hours driving then check in to your hotel to stay one night. (04.00 PM) Reach your hotel, stay 1 night while enjoy the circumstance. (07:30 AM – 08:00 AM) get the Sea of Sand (parking lot) then start Mount Bromo trekking for 30 minutes or you can take the horse transportation for 15 minutes. (08:00 – 09:30 AM) Arrive on Mount Bromo volcano rim, enjoy your time until satisfied and comeback to your Jeep to continue your tour by visiting the Savannah Mount Bromo and Whispering Sand for 10 minutes driving by Jeep. (09:30 – 11:00 AM) Get your hotel, have breakfast, take Shower and relax enoughly, Check out from your hotel and return to Surabaya Airport, Malang or Banyuwangi Harbor and Finish Ijen Crater, Mount Bromo Tour 3 Days. The best time to enjoy Ijen Crater, Mount Bromo Tour Package 3 Days, is around Summer Season or You can start your journey for after finish rainy season because the views still seem very green. Detail information about Mount Bromo tour package, Accommodation around Ijen Volcano and other facilities, you can visit Our Partner.